Earn up to 1,680 reward points. Awesome features and versatility in a great practice combo. ID:CORE V2 represents the culmination of more than nine years’ technical Research and Development. These amps have an intuitive control set like a traditional amp, but have the versatility of programmability. The unique controls allow you, the guitarist, to custom design your own sound. The unique and enhanced Voice control has six different channels — Clean Warm, Clean Bright, Crunch, Super Crunch, OD 1, OD 2. 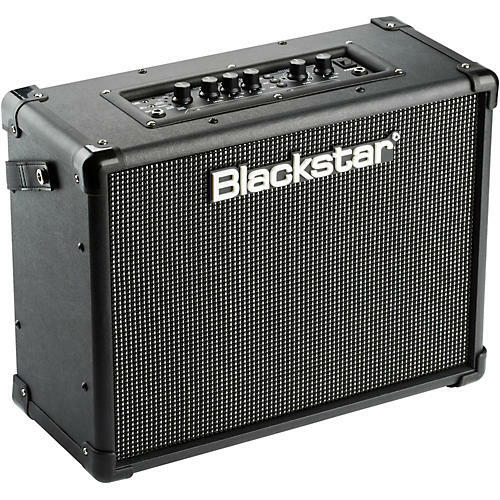 When used together with Blackstar's patented ISF control you can get the exact tone you're thinking of. The effects section delivers studio quality modulation, delay and reverb effects simultaneously that you can store with your sound.Deep editing and storing of patches is simple using the Blackstar INSIDER software. Patches can be shared, uploaded and downloaded via the online community. The USB connector also allows you to record from your amp directly to your computer. An emulated output and MP3/line input complete the package. By using the unique Voice control and the patented ISF, ID:CORE Series amplifiers allow unparalleled flexibility and ease of use, enabling you to design the sound in your head and deliver it at home, in the studio or in rehearsal.